Why are Roma also hated? Dr Aidan McGarry, Reader in International Politics within the Institute for International Governance and Diplomacy, has written an article on ‘Why are Roma also hated?’ in partnership with The Conversation. Roma are one of the most marginalised and persecuted groups in Europe, and anti-Roma attitudes are on the rise. In many societies, it is perfectly acceptable to denigrate them by invoking the negative traits and characteristics that all Roma are supposed to possess (crime, delinquency, parasitic lifestyle …). Romophobia is evident in the hate speech delivered by Italian Interior Minister Matteo Salvini, who called for ethnic profiling of Roma, but also in the attacks of neo-Nazis who destroyed houses and killed innocent people Roma in Ukraine, or in the forced eviction of 8,161 Roma from their homes by the French authorities in 2017. Roma occupy the lowest position in virtually all socio-economic indicators, including educational attainment and educational attainment, unemployment, life expectancy and infant mortality. A study on societal attitudes towards different groups – led by Sadaf Lakhani, Audrey Sacks and Rasmus Heltberg for the World Bank in 2014 – found that Roma were as low as paedophiles and drug traffickers in some European states. Since their arrival in Europe in the XIV the century (from India), Roma have suffered exclusion and discrimination. It is imperative to try to understand why. In my book Romaphobia: The Last Acceptable Form of Racis , I show that anti-Roma prejudices are not only a historical artefact but are actively replicated by actors and institutions seeking to strengthen their position in power. Romophobia is defined first of all as the hatred or fear of people perceived as being Roma, Gypsies or “of the journey” and implies the negative attribution of the identity of a group. Romophobia is therefore a form of racism, cut in the same fabric as this one. It causes marginalization, persecution and violence. To understand where romophobia comes from, it is necessary to grasp the relationships and processes that have historically created and nourish it today. Nationalism has repeatedly proved to be the preferred tactic to pacify the people, by strengthening the emotional bonds of solidarity with their so-called alike. This collective identity is constructed by a political elite that claims a common territory, a history, a myth of origin, a language and / or a common religion in order to foster solidarity. However, the construction of a collective identity is divisive and necessarily implies the demarcation of boundaries between “them” and “us”. This is deliberate: the goal is to produce solidarity and stability within the Nation. But this can be done by targeting minorities (including Muslim and Jewish communities) who unintentionally play an important role in the processes of nation-building in Europe. Why Roma rather than another community? The key to understanding why Roma are marginalized across Europe lies in our understanding of territory and space, as well as in the processes of building and maintaining identity. An example of this identity work is the stereotype of the Roma as itinerant “nomads” who have neither home nor fixed roots, which serves to justify their exclusion. Nowhere are the Roma considered as “ours” as members of society. As a people without territory, the Roma do not correspond to the conception of Westphalian nationalism in which a nation merges with a sovereign territory. They are thus excluded from public life, considered as a problematic community that does not “fit” into the projection of the Nation. This makes Roma scapegoats of choice. From the earliest days of nation-building, Roma are instrumentalised to serve the interests of the political elite. They are excluded from the articulation of the Nation, their difference exploited as a fuel to build the Nation as corresponding to “us” (the majority) and not to “them” (Roma). The Roma, as a strongly constructed and civilized identity, become these necessary “others”, positioned outside the Nation. This is the historical rule and not a recent exception. Roma have not only been excluded from some nations, but from all the nations of Europe. They have been stigmatized and persecuted in all European states at one time or another. The historical experience of Roma communities in Romania, Slovakia or Spain was singular in each case, but she translates this same romophobia. Politicians “build” the Roma and treat them as a separate and problematic entity living in the state, but separated from the nation. With predictable results. Historically, all acts of widespread violence and the dehumanizing treatment of Roma (expulsion, deportation, murder, enslavement …) have been supported by national construction projects. It is therefore reasonable to ask whether the exclusion of the Roma is deliberate, as a by-product of the construction of the State and the Nation. If so, then romophobia would be part of the matrix of European nationalism and persistent examples of romophobia should not surprise us. The very identity of the Roma is considered disturbing or threatening. 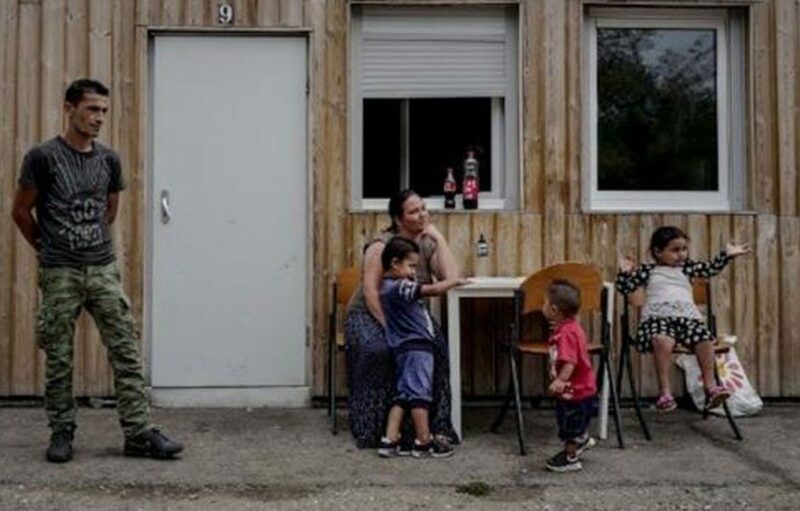 The widespread confusion between Roma culture and crime in countries such as Hungary or Italy is evidence of this, as is the recurrent expulsion of Roma communities from their homes in France. In Europe today, it is important to take into account lessons from the past, such as how the targeting of the Roma led to the attempt of their extermination by the Nazis. Fascism and right-wing populism are no longer marginal, but once again become ordinary: they are the subject of open discussions in the media by politicians seeking expeditious means to garner support. Nationalism thus always contributes so effectively to spreading this ideology of hatred and exclusion.